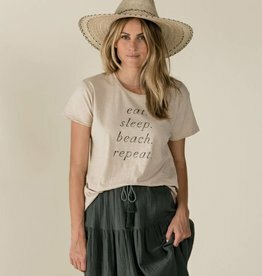 Rylee and Cru raw edge tee- eat. sleep. beach. 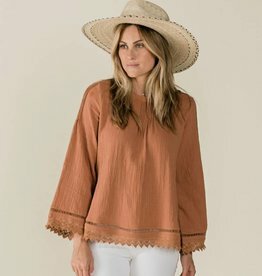 Rylee and Cru Kalo blouse in passionfruit color.